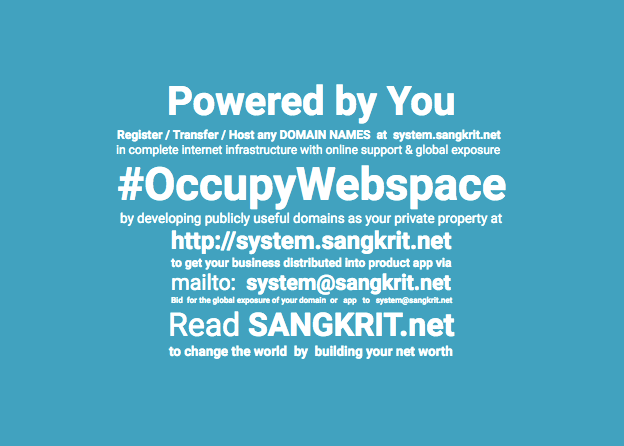 How To Use Common Gateway Interface (CGI) In Your SANGKRIT.net Hosting Account? Common Gateway Interface (CGI) extends the capabilities of your Web server to make your website communicate with other application or script. These programs are common on Web servers to interact dynamically with users. Many forms containing web pages use a CGI program for processing the data from the form. CGI service at SANGKRIT.net supports server-side includes, form handlers, and the hit counters. How To Know Whether Email Is Seen By The Receiver? Now you can easily know whenever your email message is seen by the receiver. By using a simple browser addon you can enable tracking and get notification for seen emails. Marketplaces selling digital assets have been around for over a decade, so why we are taking time to write about this new developer marketplace that the programmers over at Never Settle are building? Because they are addressing many user needs that are still outstanding and focusing on a niche vertical of quality code based products. The Market is going to be a plugin, theme, and code marketplace built for developers rewarding quality and excellence. How To Create & Export Photo Slideshows As Video Files In Ubuntu? Videoporama is available both for Linux & Windows. It is a free software you can use for creating videos or slideshow videos from images. It is mainly designed to make image slideshow and export them as video files.